The first thing I noticed when planning my trip to Bali is that the island is not one destination, but really many destinations all in one! 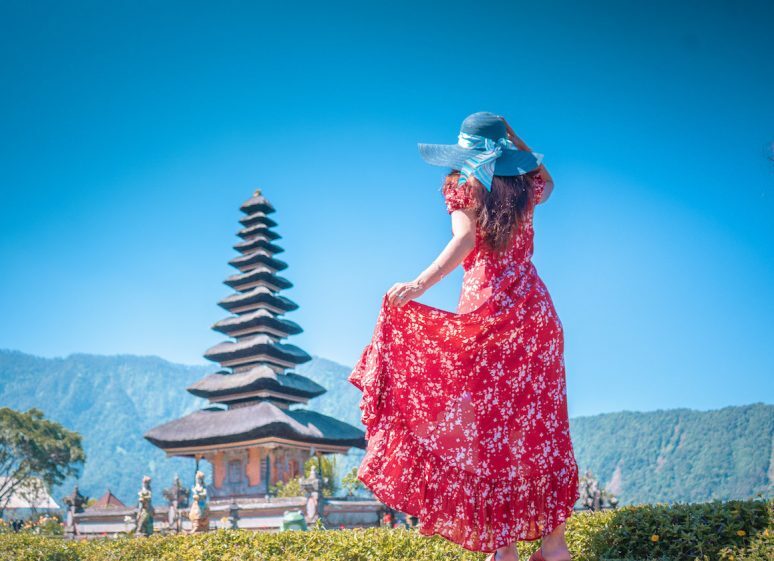 Whether you’re looking to visit on your honeymoon, a fun girls getaway or even a solo journey, there’s something for everyone in Bali. 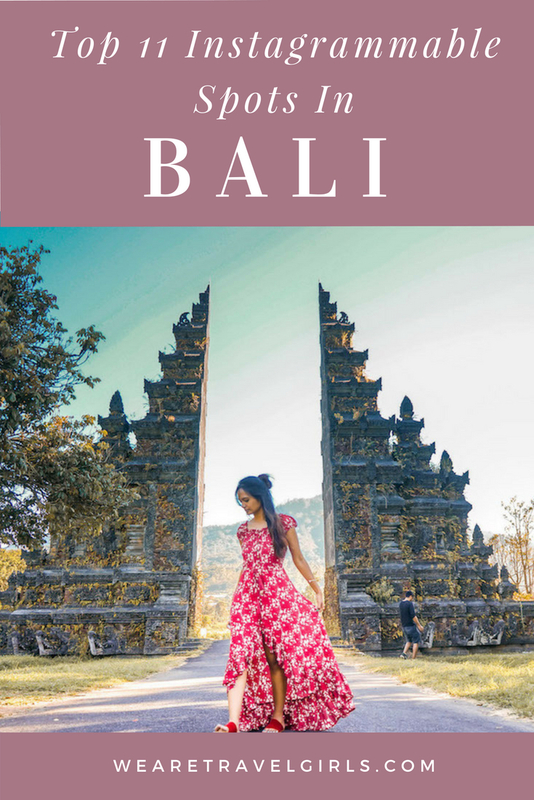 While you can spend over a month exploring the many waterfalls and temples, here’s a short yet picturesque Bali bucket list to absorb and capture the diverse culture, landscapes and unique experiences of Bali and the most Instagrammable spots in Bali! Seminyak is one of the most vibrant parts of the island. 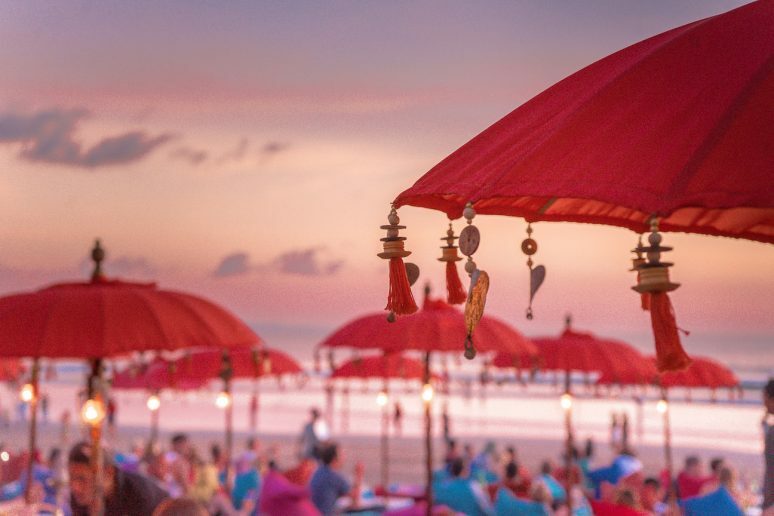 While Seminyak is all about the dynamic life – scores of restaurants, bars, shopping and surfing, one of the most breathtaking sights is catching the sunset over the famous Double Six beach. With hundreds of shacks with colorful umbrellas, bean bags and live music, the whole experience is surreal! Grab a table at the popular La Plancha, and spend an evening indulging in seafood appetizers and margaritas as you watch the orange sun disappear into the purple ocean! 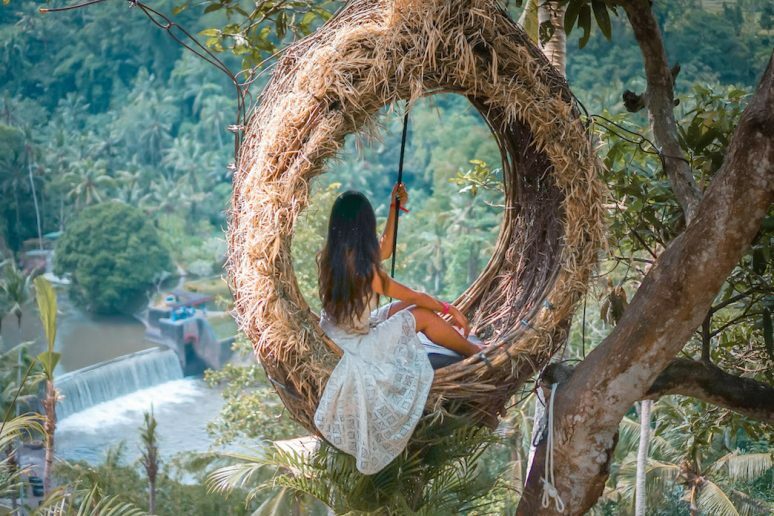 Definitely add the Bali Swing to your bucket list because you will not want to leave Bali without swinging over the abyss! Even if you’re like me and have a fear of heights, once in the air, you just let it all go start to enjoy the unreal scenery before your eyes. There’s nothing more surreal than swinging high above the treetops, the river gushing fiercely way below us, and only the sky above. There are several swings offering different views of the valley and you get to swing as many times as you like! Make sure you also check out their love nests and grab a quick lunch before heading out. The most famous (and arguably the original swing is the one at Zen Hideaway and you can even book to stay here on AirBnB. 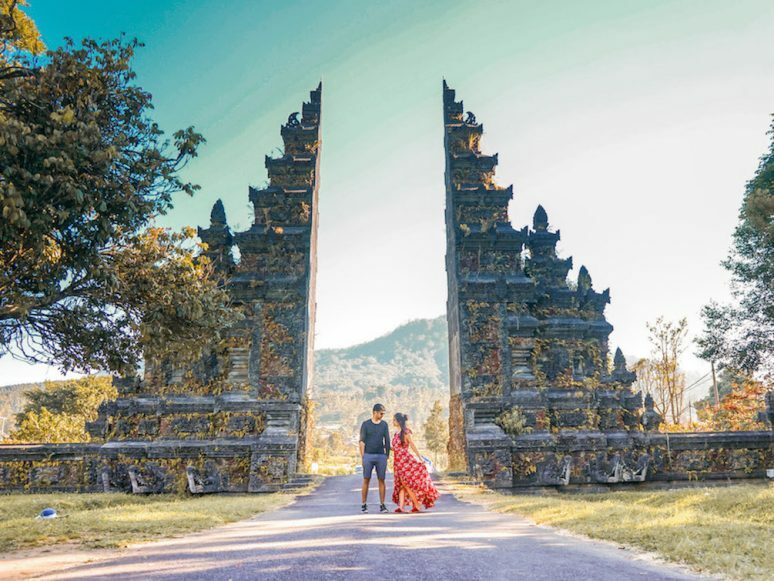 The Instagram famous Bali Gate is probably on your bucket list already! 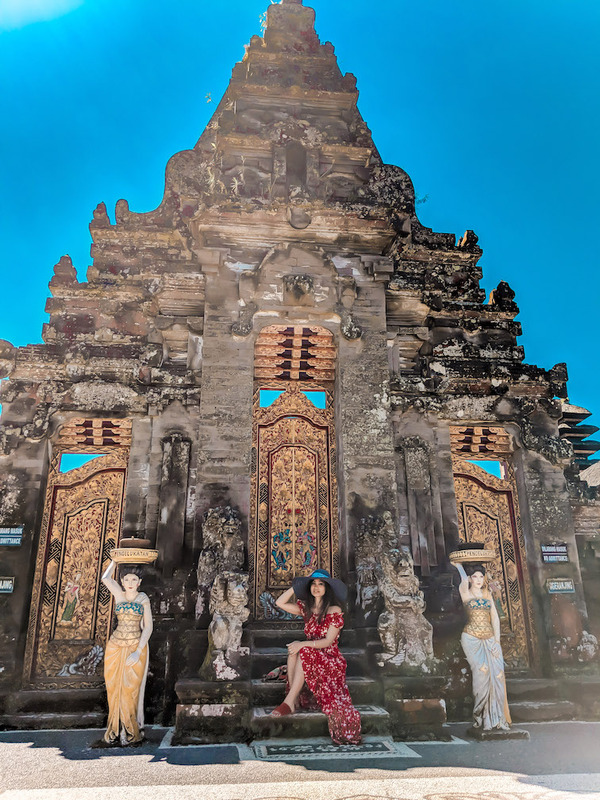 Only 30 mins from the Ulun Danu Beratan Temple (mentioned later), the Bali Gate is actually the entrance to the Handara Golf Resort which is located in the Bedugal highlands. It’s a little cooler here and you can see the clouds rolling in over the mountains in the backdrop. If you own a drone, this will make it worth carrying it all the way to Bali! Tegenungan Waterfall is one for nature lovers. 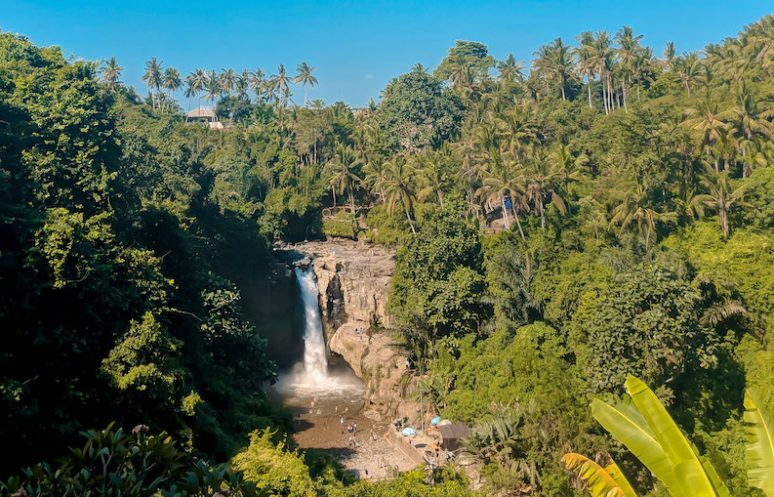 The falls are conveniently located halfway between Ubud and Bali’s provincial capital of Denpasar, and is considered the closest natural attraction of its kind that you can reach from Ubud. The drive down to the falls are paved village roads lined with luscious green rice fields on both sides. With dense foliage framing the falls, the volume of water is incredibly impressive most of the year, but normally at its strongest during the rains. 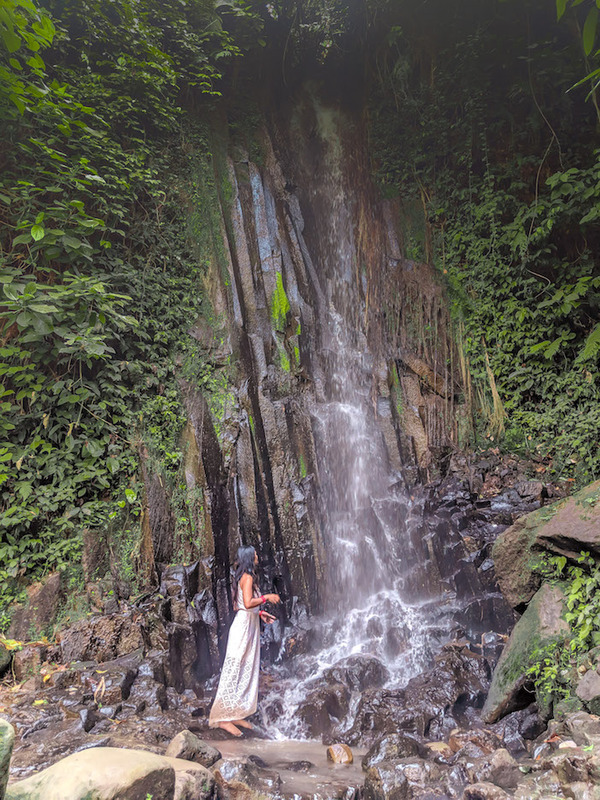 My husband and I ventured down to the vast pebbly base and enjoyed a thorough dip in the plunge pool, right by the base of the incredibly powerful waterfall. (Note whether you can swim in the waterfall or not will depend on the recent rains) The whole experience is unreal – there aren’t a lot of people trying to get close to the force of the falls so if you dare, you can navigate all the way to the base! On the way up, you’ll find another little waterfall trickling down from the main waterfall, make sure to stop for a second to hike up to the base for some spectacular pictures. 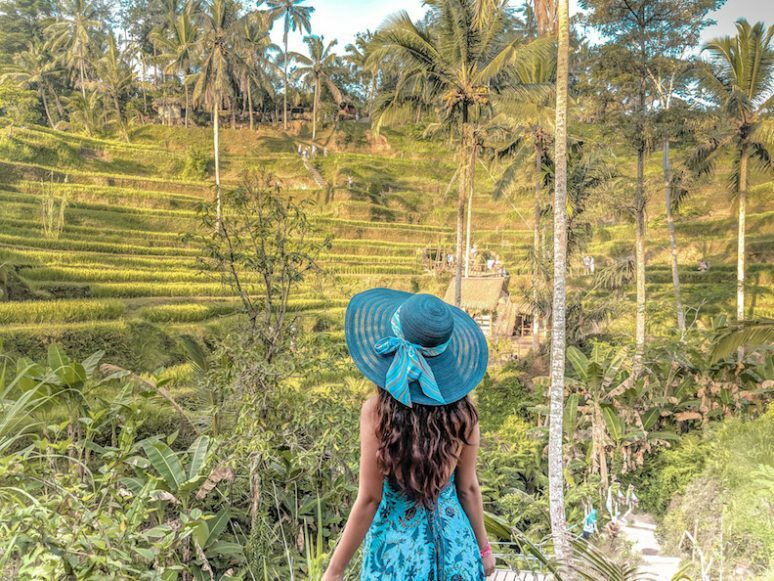 Tegallalang Rice Terrace in Ubud is famous for its beautiful scenes of rice paddies that implement the subak (traditional Balinese irrigation system). The Tegallalang rice terraces offers a scenic view that spreads down and away to the slopes of rice paddies across the valley. 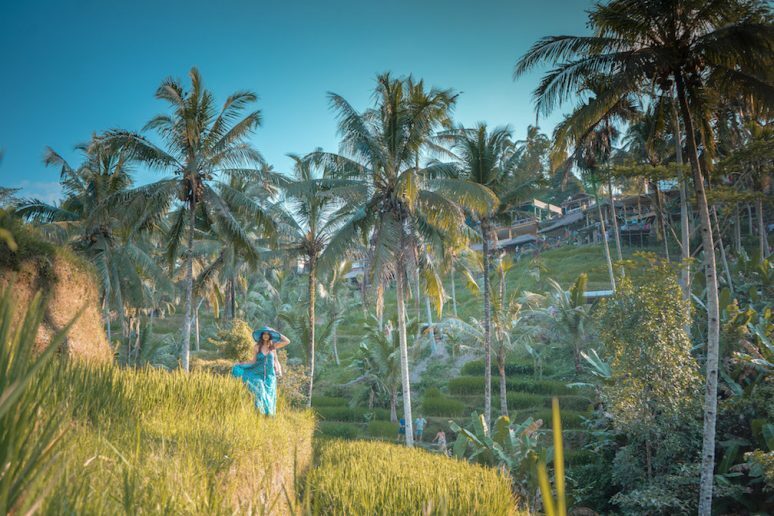 Tegallalang rice terraces offer a perfect Bali photo opportunity thanks to its dramatic views. 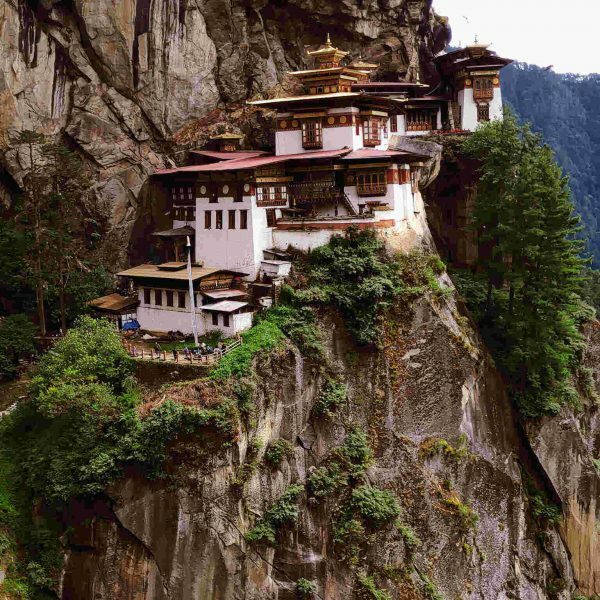 Whether you are alone or surrounded by tourists, the ancient valley has a timeless quality about it. Its recommend to get here early morning for sunrise or late afternoon for sunset as it can be extremely hot and crowded in the middle of the day. The Ulun Danu Beratan Temple is not only a picturesque landmark but also a significant monument located on the western side of the Beratan Lake in Bedugul. Literally meaning ‘the source temple of Lake Beratan’, this is the island’s most iconic sanctuary offering spectacular views any time of the year. The lake surrounding the temple has a smooth reflective surface creating a unique floating impression of the temple. Additionally the mountain ranges of Bedugul provide a breathtaking backdrop. The Ubud Art Market which is locally referred to as ‘Pasar Seni Ubud’ is located across from the Royal Ubud Palace and is open everyday. 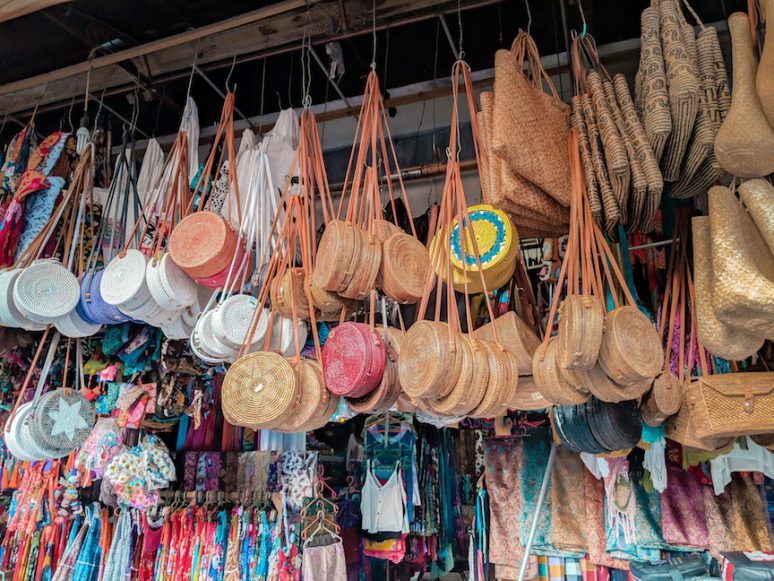 Take your time here to find beautiful silk scarves, Balinese print dresses, handmade woven bags, baskets or hats; and many other hand-crafted goods. 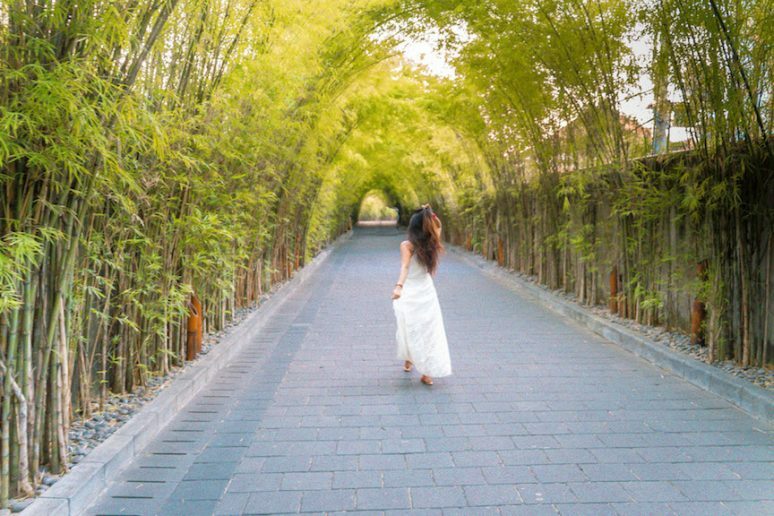 Picturesque as it could possibly be, the entrance to the “W” hotel in Seminyak is lined with bamboo trees arching over the walkway making for an incredible photo op. 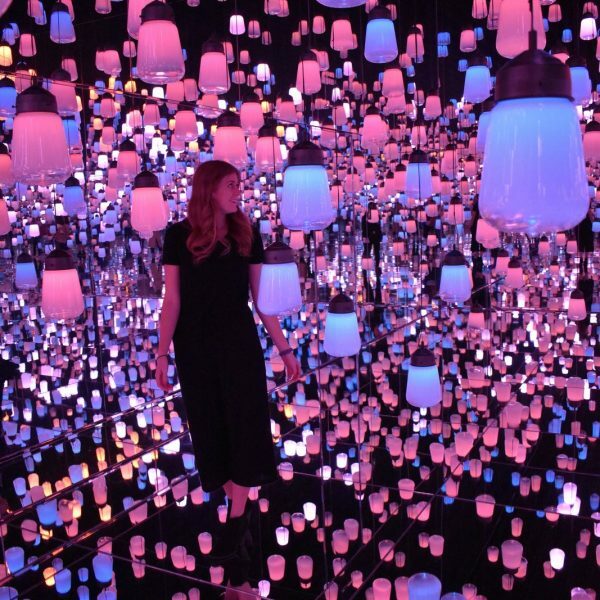 Now that I’ve experienced floating breakfast, I’m starting to rethink my cheat days! Well if you want to experience having authentic Mei Goreng served up with fried eggs and freshly brewed coffee, you have to visit Bali for one of it’s famous floating breakfasts. One of the most unique things about Bali is the spectacularly spacious traditional-style villa, some of them offering 24-hour butler service, a private pool and an open air garden bath. 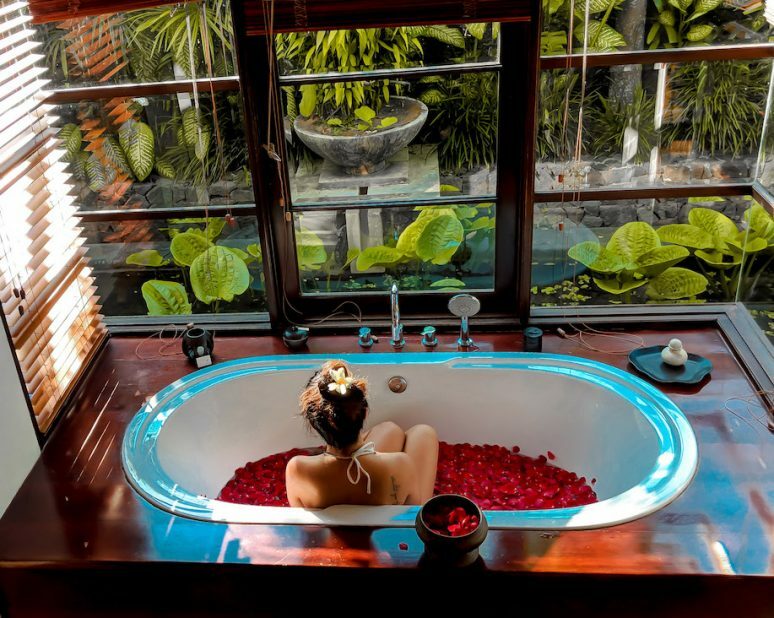 Something you would not want to miss out on is having your bathtub filled with rose petals, waiting for you to get in for a warm soak! Make sure to breath in a few fresh petals before the start of your day! The beaches of Jimbaran are one of a kind – pristine untouched till the horizon. 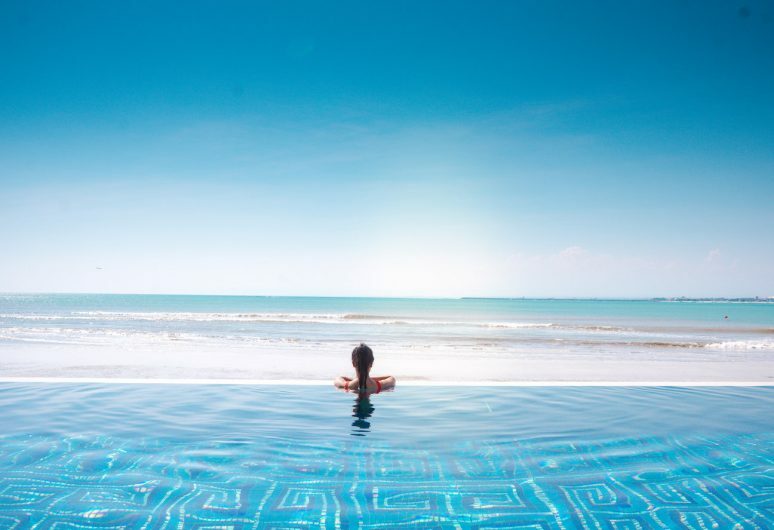 All of the beach clubs in Jimbaran, Seminyak, Legian or Canggu offer stunning sights of the endless blue, make sure you grab a scrumptious lunch and spend the afternoon sunbathing in the luxury of their chic and spacious double daybeds overlooking the Beach. 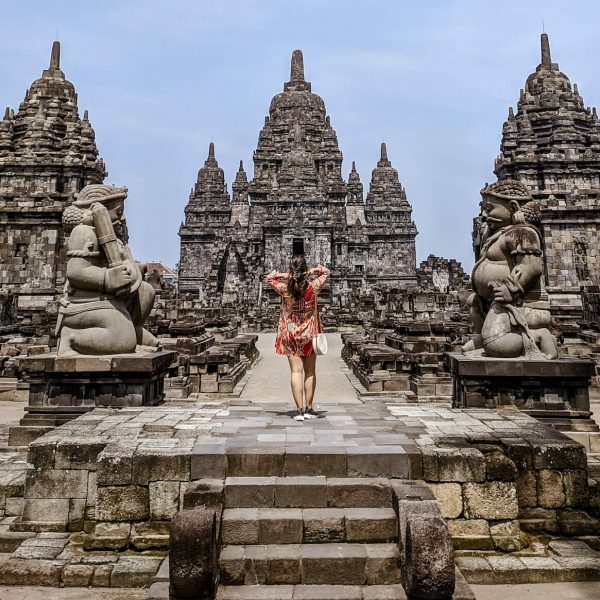 Check out the article 9 Epic Places To Stay In Bali to find some amazing places to stay whilst you are on the island. If you’ve been on the fence on visiting Bali, or wondering how many days to spend in Bali, take the plunge. Whether its 5 days or 2 weeks, every day will give you opportunities to create and capture unforgettable memories. Have you been to Bali? If you have any additional tips for our readers or questions please leave these in the comments below.